Use it up, wear it out. I put that in to practice today when I put on one of my favorite maternity sweaters (yes, I’ve been pregnant for so many consecutive years, I’ve got favorite maternity clothes) and found it had two small holes in the left sleeve, right on the tricep. The largest of the two was about the diameter of a standard pencil eraser. That just wouldn’t do. 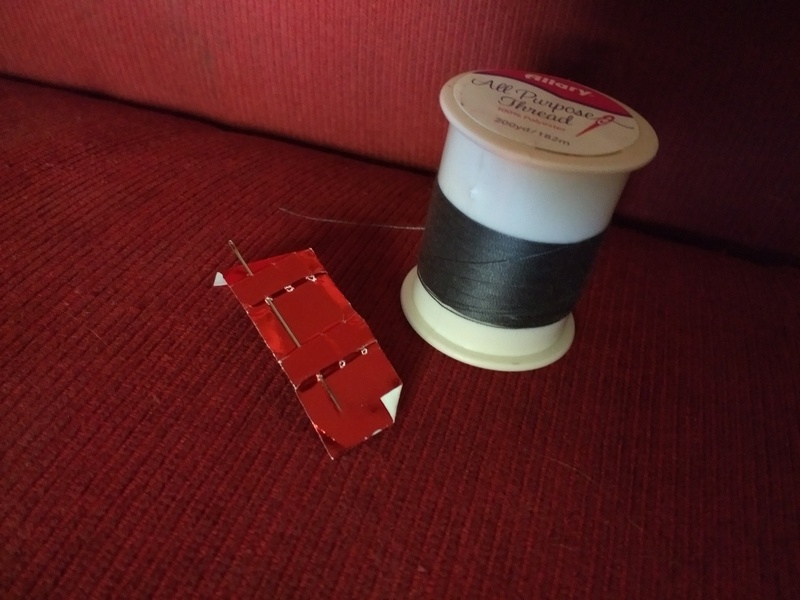 So I raided my husband’s sewing kit (he’s an excellent Marine) for a needle because I rarely do any hand sewing of my own. I got out my gray thread and set to work. 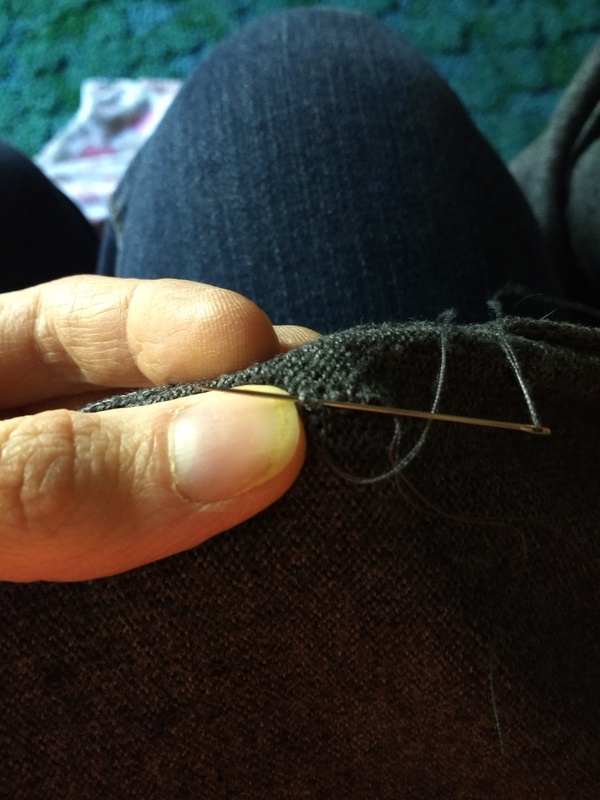 To start, I threaded my needle, and tied a knot (I’m not fancy with my knots). 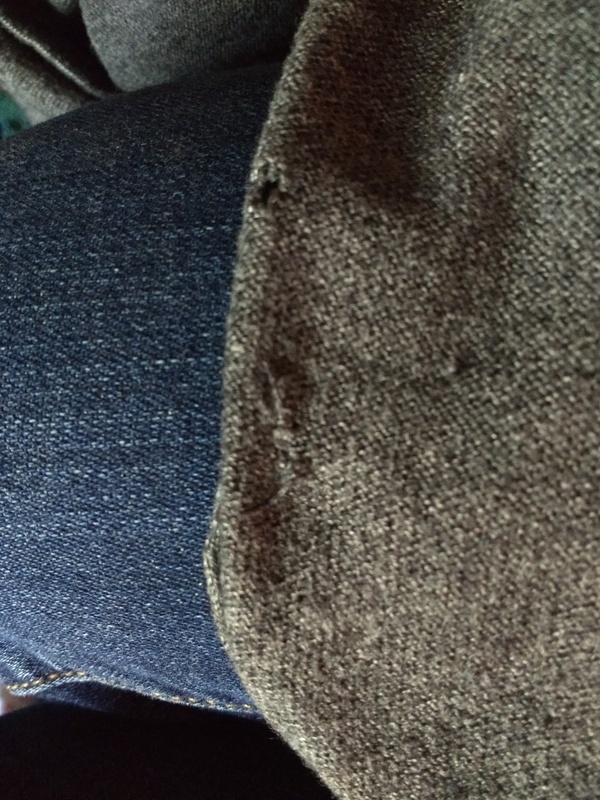 I turned the sleeve inside out, picked just a few threads from the side of the hole and pulled the needle through. Then on the opposite side, I pulled up another couple threads and pulled through. 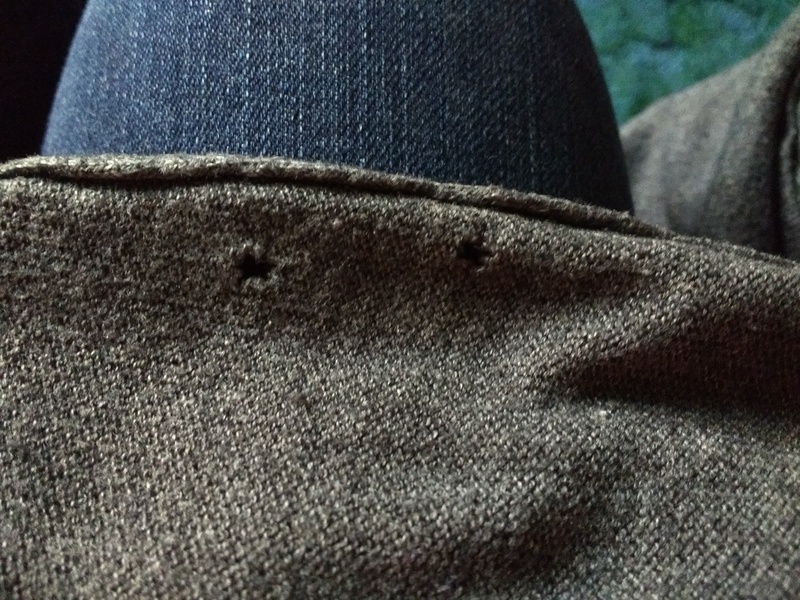 The hole began to close up nicely, just bringing the edges together. The larger hole is obviously more noticeable post repair than the smaller one, but not nearly as noticable as my skin would be peeking through a hole. 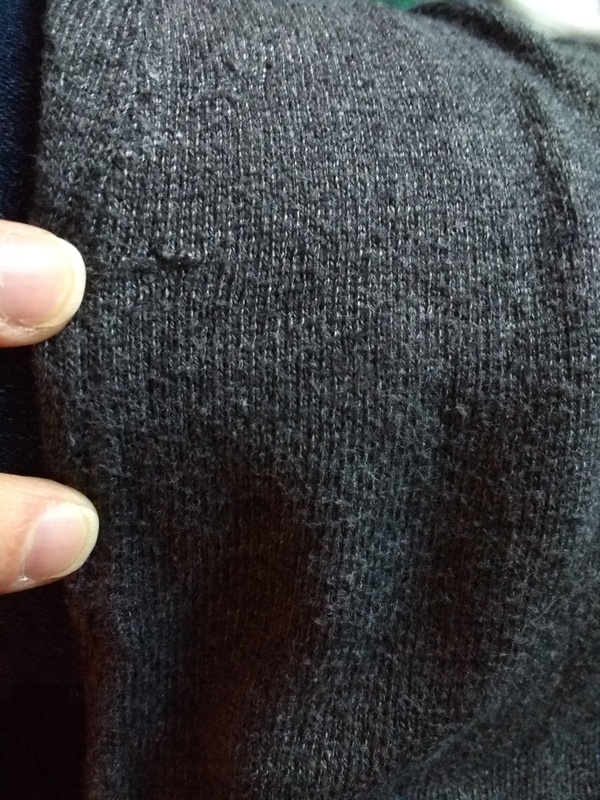 This method works really well with heavier, bulkier knits as you can hide the stitches a little easier. But in a pinch, it works quite nicely and doesn’t take more than a couple minutes. Now, on with the sweater, and off to dinner!